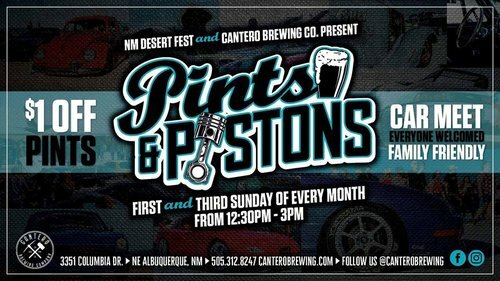 NM Desert Fest and Cantero Brewing Co. presents our bi-weekly pints and pistons. Bring your ride, bring your cameras and definitely come hungry and thirsty. Come and show us what you have been working on and hang out with other fellow enthusiasts. Please respect the venue, its staff and the property. No revving or burnouts please.